Gramget is a free instagram video downloader. This online tool opens in-browser but allows multiple downloads of photos and videos from instagram. 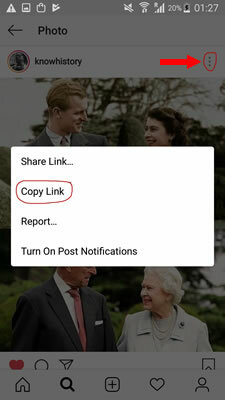 Easily copy URLs found on instagram, then convert content into desired image or video format like MP4, JPEG, PNG etc. 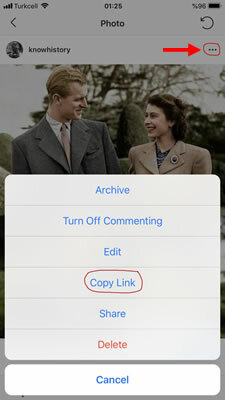 Enjoy pictures and videos copied via instagram, now usable with any device without paying any fees. Site's software runs fast, uninvaded by distracting pop-ups. It might be the best transfer program available at no cost to users. Copying and sharing cool Insta posts becomes quicker than ever. - Go to the Instagram website. - Open the Image or Video that you want to download. - To download the instagram video, click on "Download" button or right-click the video center and click "Save Video as..."
- To download the instagram photo, click on "Download" button or right-click the image center and click "Save Image as..."
- For photo download, just tap and hold on the photo displayed and choose "Save Image"
- Choose "Save to Camera Roll"
- For video download, just tap and hold on the video displayed and choose "Save Video"
* To share, select a sharing platform and send it right away! * Multi image/video posts are supported!